The Chart you see is from the Federal Reserve itself. 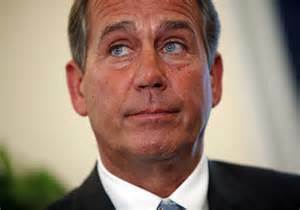 It shows that when Ronald Reagan took office in 1981 the Monetary Base was $194 Billion. 28 years later it was $875 Billion (September 2008). When Barack Obama took office it was $1.554 Trillion. Today it is $4.002 Trillion. 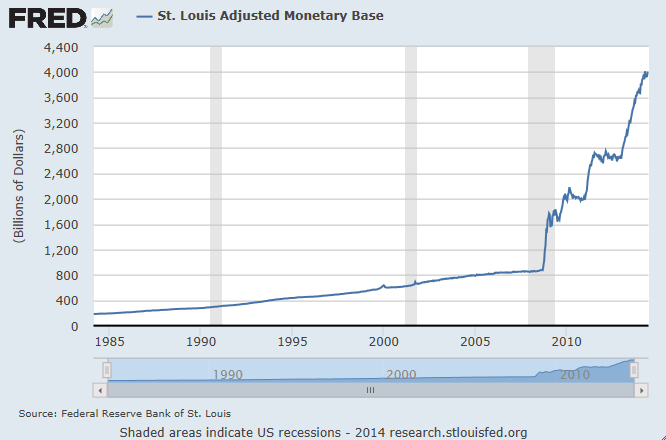 Even in inflation adjusted dollars, it has exploded as never before since Obama was elected in 2008. The explosion started under Bush, just about election day 2008. The Federal Reserve is NOT the USA government, it is a private hybrid bank that was given a monopoly by the US government in 1913 to print money. If you look at a dollar bill, it says “Federal Reserve Note” on it. Today most money is electronic money. 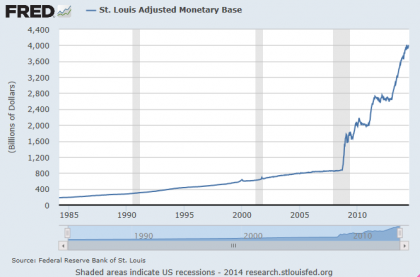 The massive increase in money shown on the above chart has cost the Federal Reserve nothing. They in effect counterfeit the money, then lend it to people and the USA government. When they get the money back, it would seem to be infinitely profitable for them. The problem is when the Monetary Base is greatly increased, as the chart above shows, the natural effect is inflation, extreme inflation. 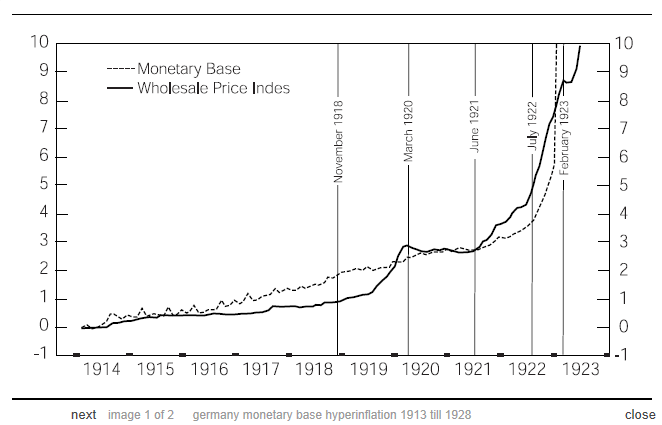 What caused the Massive German inflation of the 1920s which led to a loaf of bread going from 1 Mark to 1,000,000 Marks? 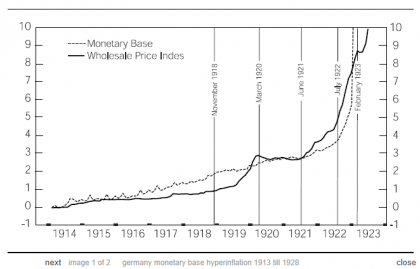 The Monetary Base explosion before the hyper inflation is the culprit in most studies. Below is a chart of how increasing the Monetary Base related to inflation in Germany. The Monetary Base increased first in Germany (DOTTED LINE), for years, then inflation mirrored it almost perfectly. Here again is the current American Chart; compare the two. This is why some are extremely concerned about hyper-inflation coming to America. The vast majority of the news media companies in America talk about the “Fed” constantly. In fact CNBC probably talks about the Fed more than any other subject, but never says what the Fed is. 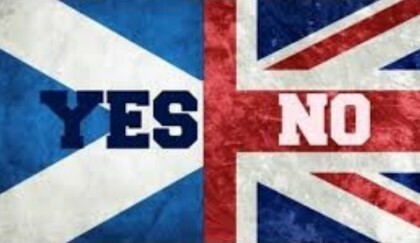 Will Scotland Leave UK and Become a New Country? In Decisive Vote, Scotland Rejects Independence, Sticks with the U.K.